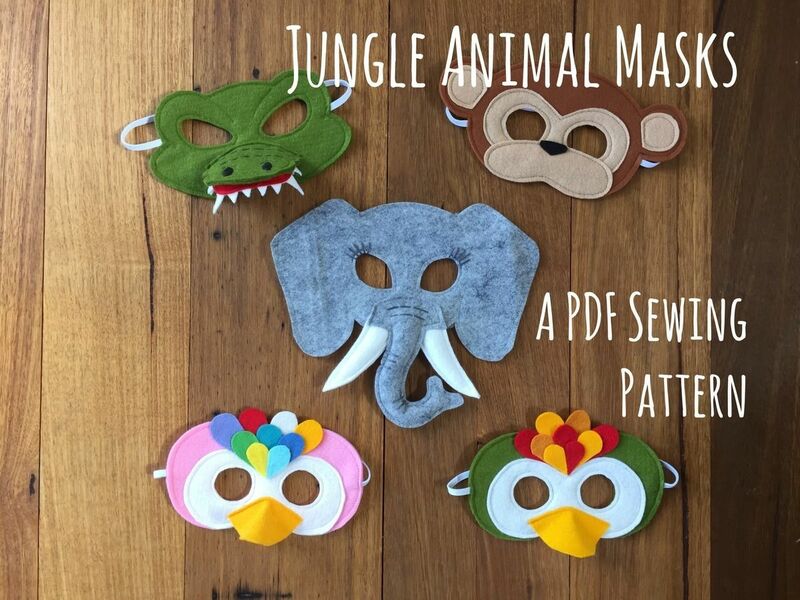 These beautiful and simple felt masks will inspire hours of imaginative play in the lucky recipients. Masks are quick and easy to make and make a wonderful gift for little ones which parents are sure to love too! Patterns include full templates and simple, illustrated, step by step instructions to make your own Crocodile / Alligator, Monkey, Elephant and Parrot with this Jungle Animals Mask PDF Sewing Pattern. BONUS: Also included are printable versions of all 4 masks which your kids can colour in themselves then thread with elastic and wear. Please note this listing is for the PDF PATTERN only.